One Against One Dozen — JLim&c. One Against One Dozen is a fast-paced, live-action sword-fighting game in which one champion takes on up to twelve enemies. 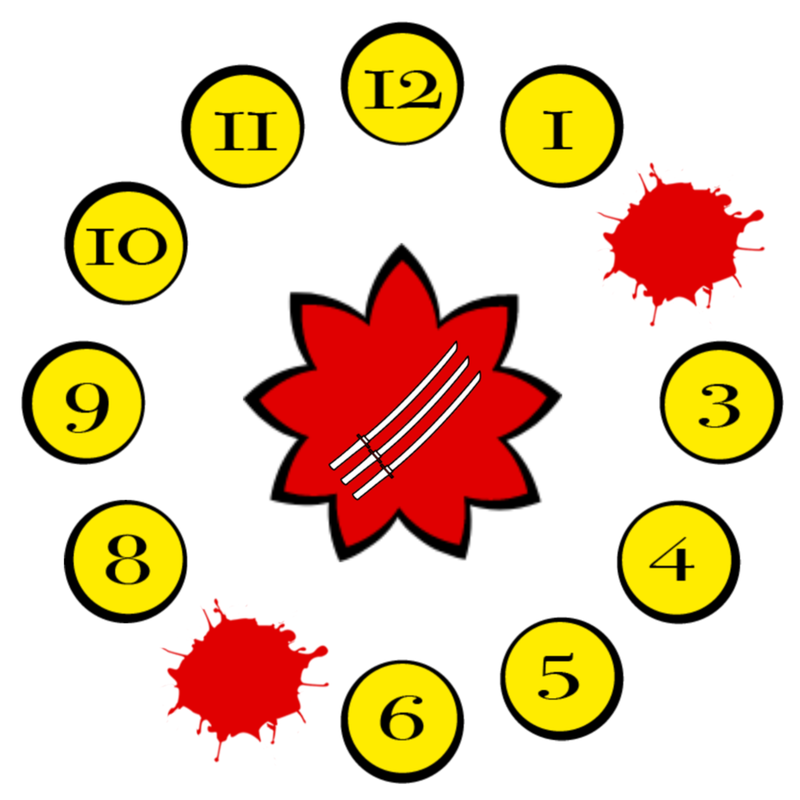 The champion stands in the center of a circle of enemies numbered 1 through 12. Each player is armed with a pool noodle for a sword. Left, the mobile interface that controls the game. Above, the scoreboard, projected on the floor or wall. In this example, players 2 and 7 have been eliminated. During each turn, one randomly-chosen player will receive the opportunity to attack. The game runner uses a mobile interface to track turns and player health. The champion has 3 lives; each enemy has 1. One Against One Dozen was featured at Indiecade East at the Museum of the Moving Image in 2018. It was designed by Jenny Lim and Gigantic Mechanic for the 2017 Come Out & Play Festival.